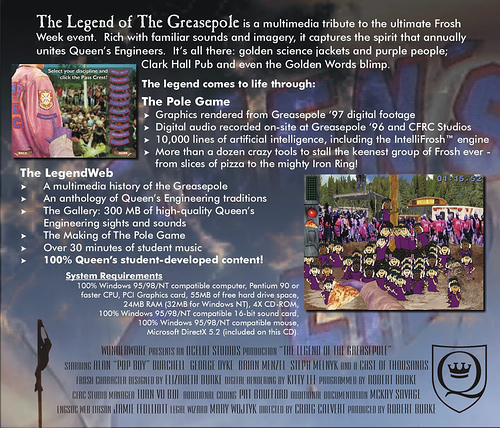 The Legend of the Greasepole is a multimedia tribute to the inexplicable Engineering traditions at Queen’s University in Canada. Over 50 students contributed to the project. Legend of the Greasepole was originally built as a PC game using DirectX. It was subsequently ported to XNA so it would work on the XBox 360, and then to Silverlight so that it would work on the web. I was Producer and Lead Developer of Legend of the Greasepole, and Craig Calvert was the project’s Artistic Director and Lead Artist. First Release 1998 for PC in C++. Re-released in 2007 for PC and XBox 360 with XNA. (about the 2007 release). Re-released in 2008 for the Web with Silverlight 2 (please see below). Re-released in 2010 for the Web with Silverlight 4 (tech notes about the Silverlight release). The XNA and original C++ versions are available for download at the Queen’s University Engineering Society website. 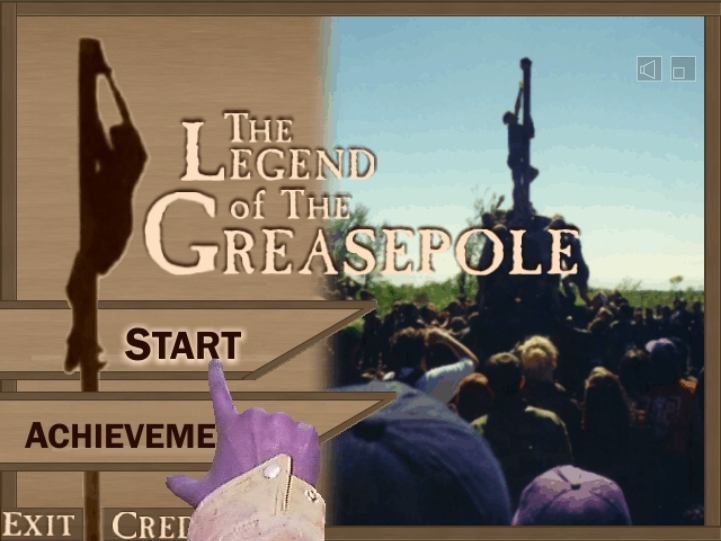 As part of a demo, I ported Legend of the Greasepole to Silverlight, so now it can be enjoyed from the comfort of the web. With the release of Silverlight 4 in 2010, it is now also hardware-accelerated, so it performs pretty well (with a couple of foibles – the full PC version is a labour of love and definitely more polished). You can play the Silverlight version on a Mac or PC at http://robburke.net/greasepole/silverlight.